I decided to take some of my favorite photos and write an overview of living in the lakeside area. My first impulse was to put on photos of all the holidays and celebrations. That proved to be too large of a task. 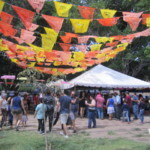 I looked online at Mexican Holidays. 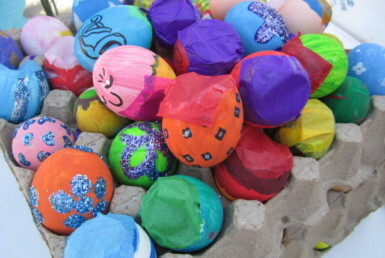 There were nine major holidays listed and twenty nine ones that are called Observance days and four Season days. I have no idea of how many other days the actually Mexican’s celebrate. It feels like one every week. There always seems to be at least one celebration and several parties going on at once. 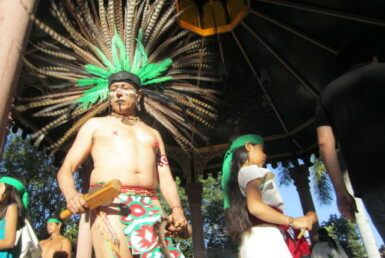 Don’t come to Mexico to live if you don’t want to experience celebrations, parties and parades. 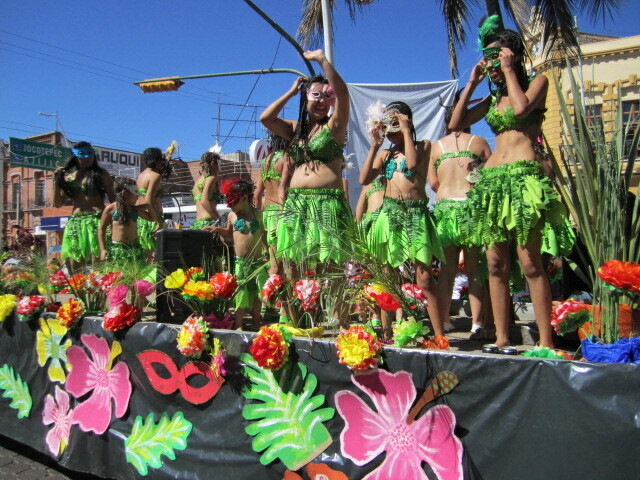 There are so many parades in the Lakeside area that I can’t even begin to remember them, let alone list where these parade photos came from. I guess it doesn’t make a great deal of difference. They are all beautiful and fun. 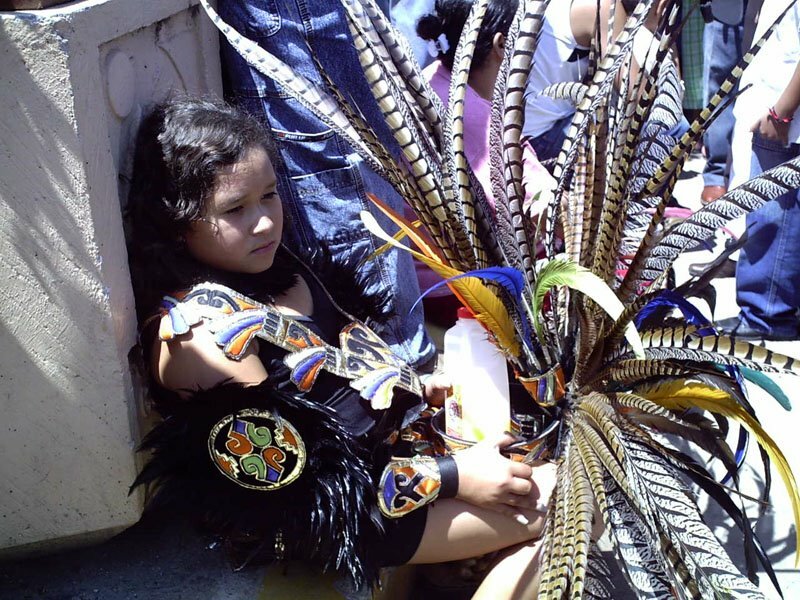 But if you are at a parade and you get tired, you can just sit down in a quiet place and rest for awhile, like the little girl in the next photo. 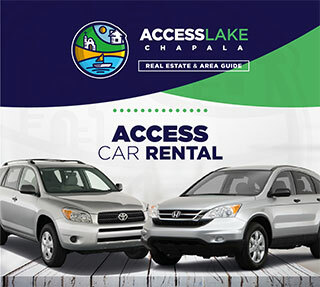 After you arrive in Ajijic and get settled, it is helpful to go to the Lake Chapala Society. They have many activities. There are classes in just about everything you can think of and celebrations on the beautiful grounds. There is also an outdoor coffee shop. It is a great place to meet up with other expats. It is the hub of expat society in Ajijic. No matter what time of the year you come to the Lakeside, the weather is beautiful. If you come during the summer rainy season, you will get to watch the lightening and storm clouds over the water. 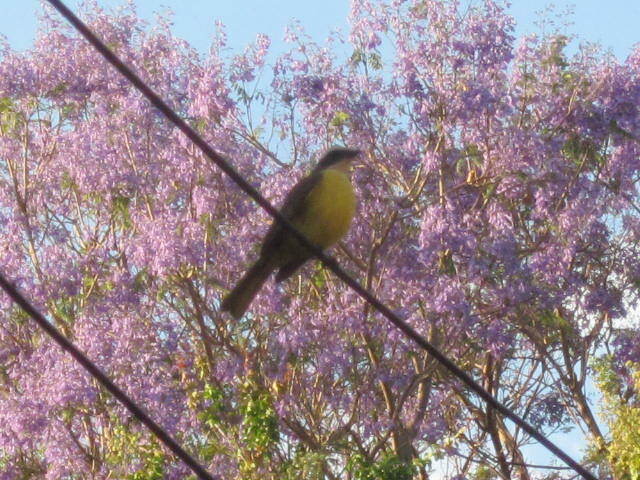 If you come in the spring, you will see the Jacaranda trees covering the streets with purple flowers. There are always birds singing and blooming flowers, no matter what time of the year you come. The summer is the off season and it is quiet in town. Storms come in, mostly at night and the hills turn green. 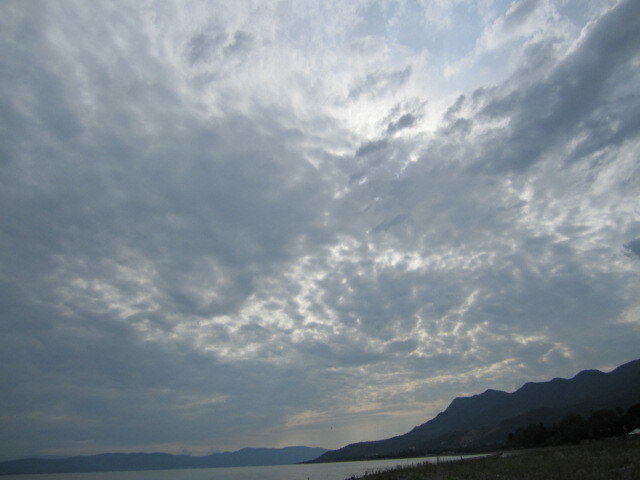 I love to watch the clouds forming over the lake. During the rainy season, there are spectacular sunsets. I spent all my evenings one summer sitting out by the lake with my camera, taking sunset photos. 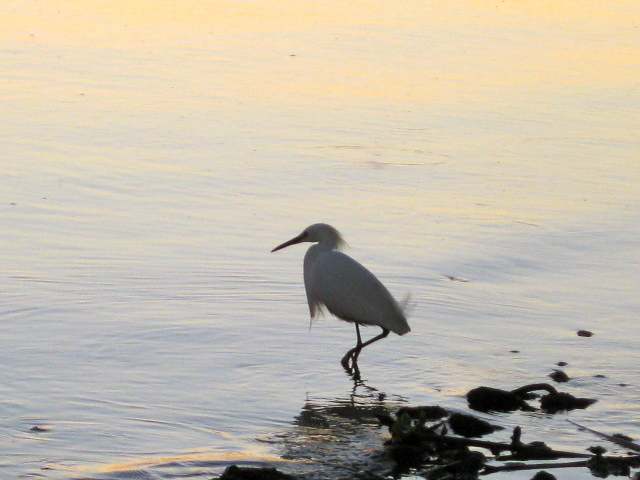 If you are a bird watcher, there are many opportunities to photograph them. 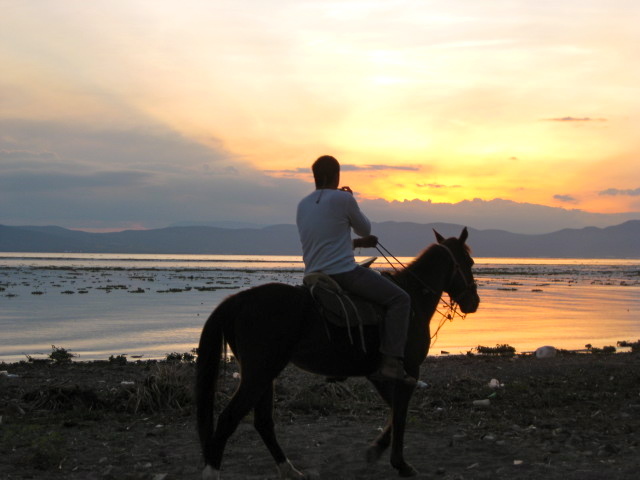 If you would like to be more active, how about horseback riding on the beach at sunset? It only costs a few dollars and men ride along beside you to keep you safe. 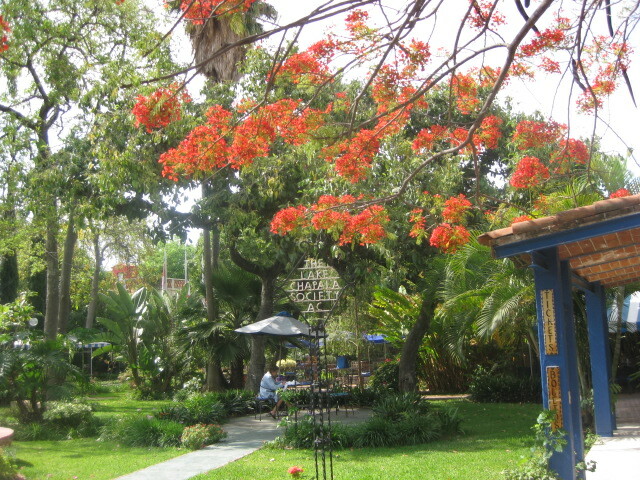 If you prefer more social activities, there are over a hundred restaurants in the Lakeside area. 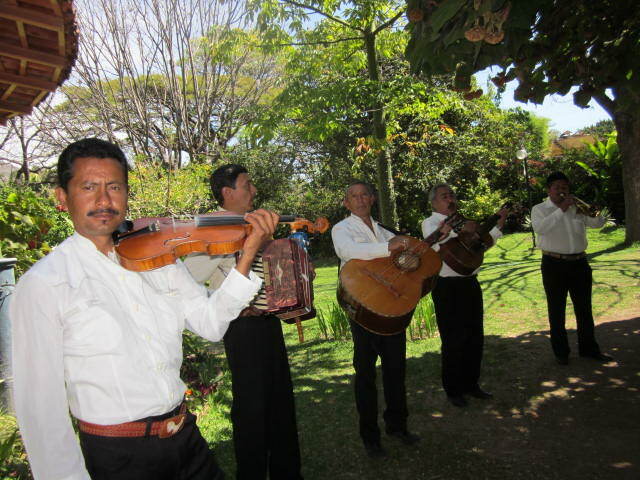 Some of them have strolling musicians who will sing you love songs while you eat a delicious meal. People are very friendly and often will start up conversations with strangers at the various tables. 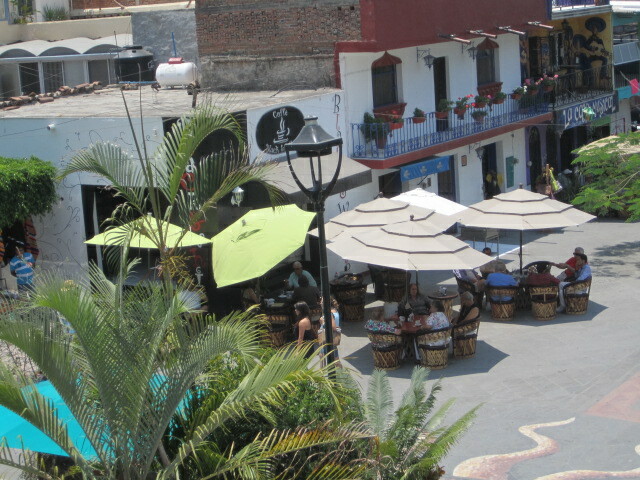 One of the most popular restaurants in Ajijic is in the Ajijic plaza. The food is good and the prices are reasonable. Often there are musicians playing there. There are many traditional Mexican dishes served in these restaurants as there are American style ones. There are also Chinese, Thai, Moroccan, Indian, and many more interesting restaurants. It is fun to explore them all. 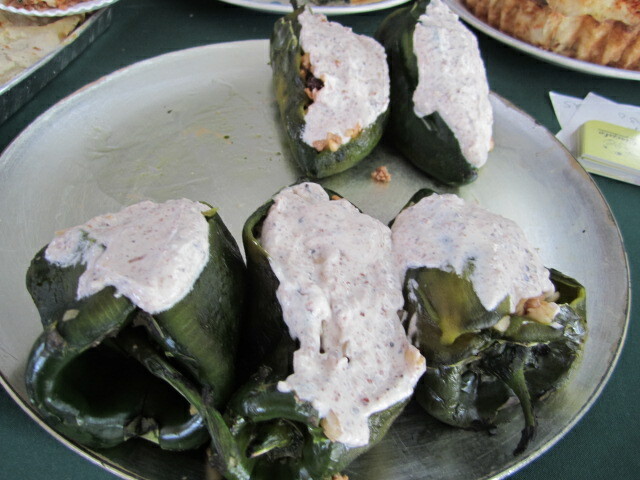 Chili Rellenos. They are delicious. If you ever come to the Lakeside area, I hope you will try them at least once. 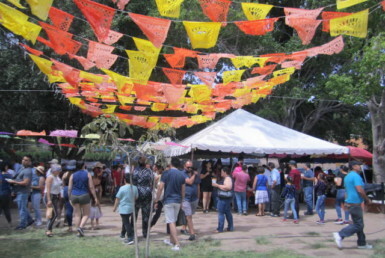 There are often planned events where they serve food and have entertainment. 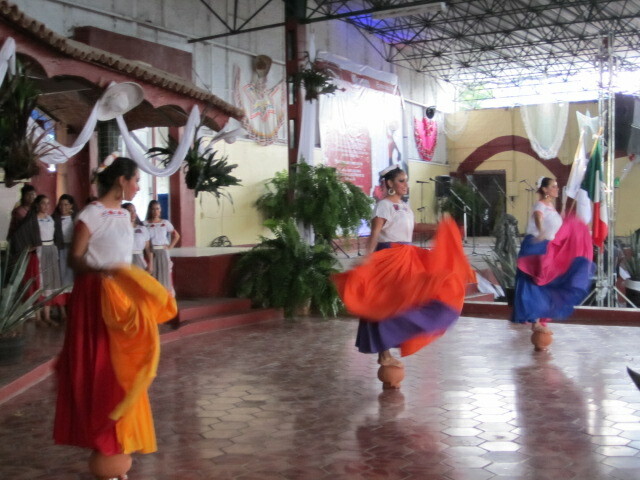 The Folkloric dancers and the Mariachis sometimes show up at them. What a treat for the diners! 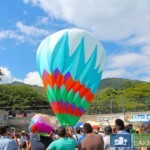 If you like to get out to big events, there are many in the Lakeside area, all year around. I can’t begin to list all of the events. I have covered some of them in different articles on this site. 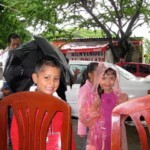 Also, you will find many more interesting articles having to do with the ins and outs of moving to Mexico. I hope you will check them all out. 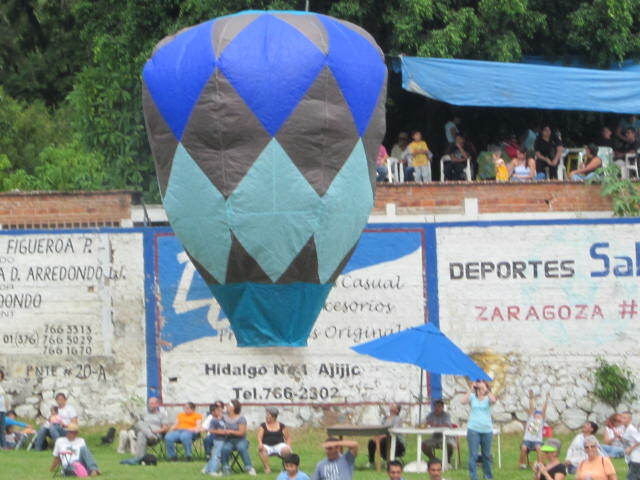 Below is a photo of the Globos event, one of my favorite. If you are around for the Day of the Dead, you will be in for a treat. 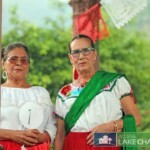 That is one of the biggest holidays of the year in Mexico. 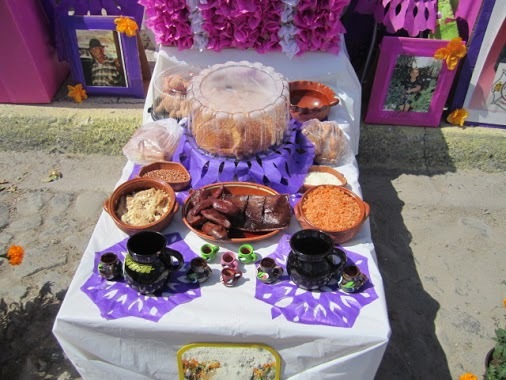 It is part of the Mexican tradition to set the favorite food on alters for their dead relatives that they believe visit them once a year on the Day of the Dead. They also have big celebrations at the graveyards at night. 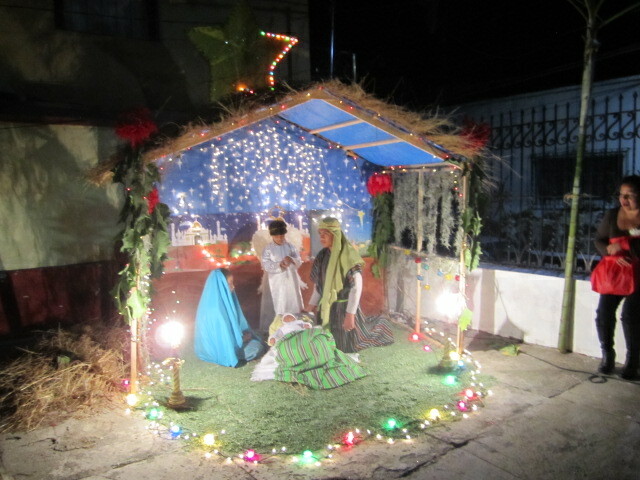 At Christmas time there are live Creches at in the church grounds. The streets are lit up with colored lights. It is fun to just walk around town and look at the decorations and Creshes. 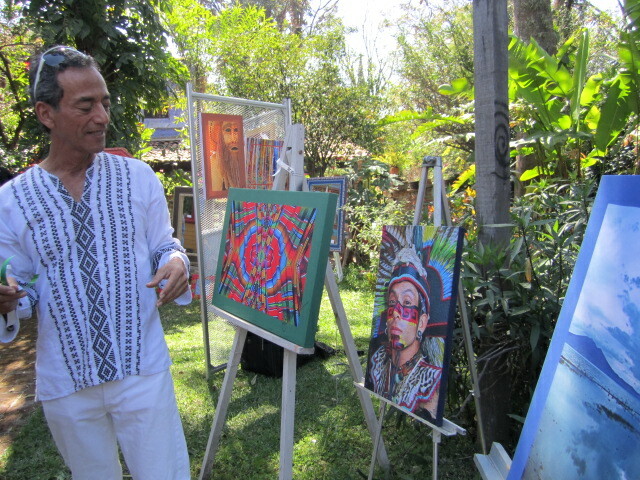 There are art and craft fairs in the Lakeside. Almost every week end I see them setting up at various places around the area. Sometimes crafts people come in from surrounding towns to sell their wares. 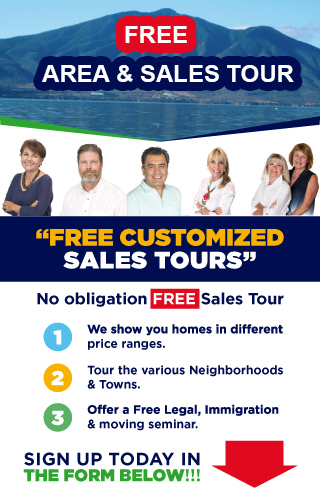 The prices are reasonable and the quality is good. 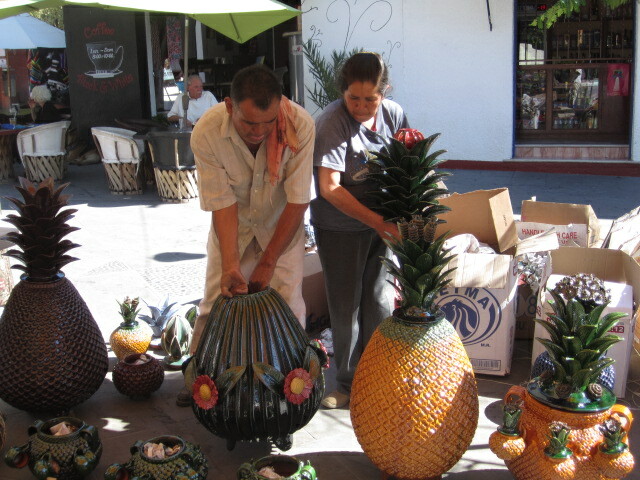 Besides the art and craft shows, there are always the weekly markets where you can buy beautiful crafts and sometimes even art work. 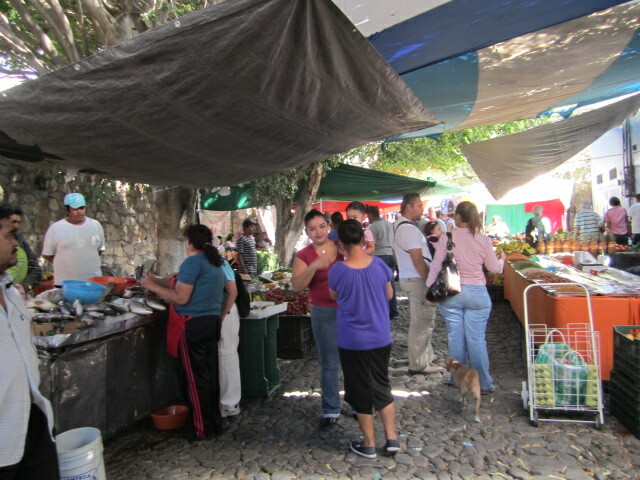 The markets are good places to meet up with friends and also buy your groceries. I love buying the fresh fruits and veggies. Also, it is fun to try the exotic fruits. 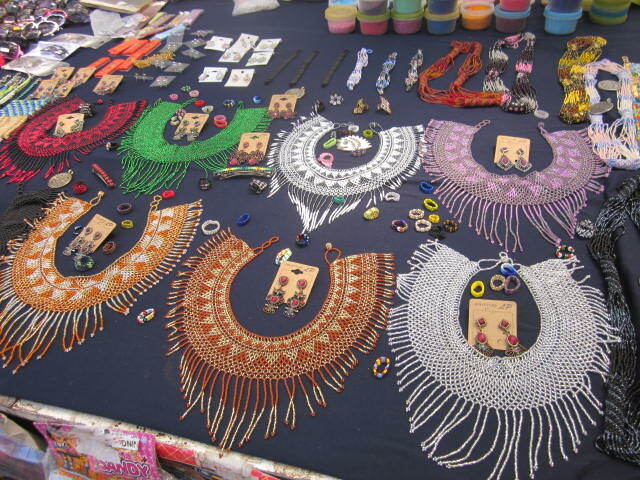 The Huichol Indians also bring their beautiful bead and yarn work into the weekly markets. One of the wonderful things about being in the Lakeside area is the great transportation. For less than a dollar, you can ride to any of the towns. 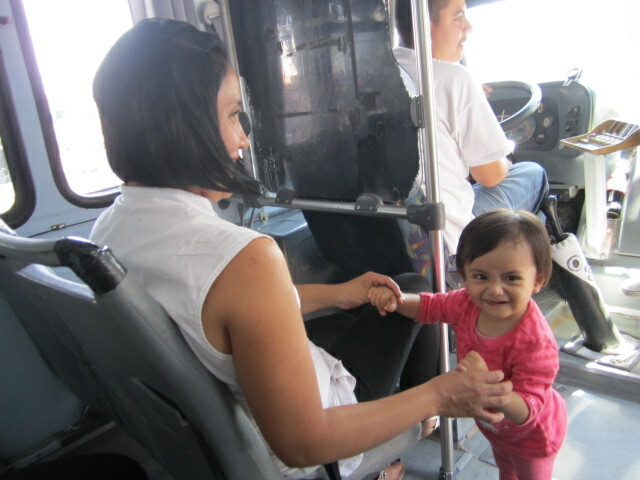 I love taking the bus because it gives me an opportunity to be around the locals. I especially enjoy the children. 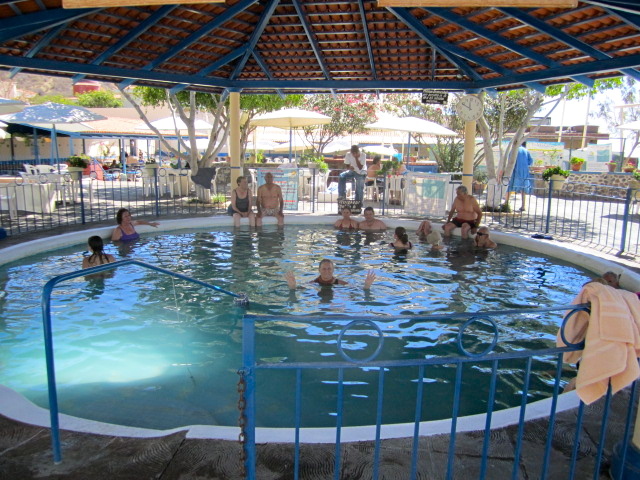 After all this activity, you might want to relax in the thermal waters of the spa. It is easy to get to by bus and you can stay all day if you like. I have thousands more photographs but I must stop here. 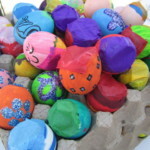 I hope you will check out all the other articles that go into these various activities. I love the Lakeside area. I hope you will too.